At Vettery, we’re in the business of a lot of things beyond hiring—transparency, accountability, and automation come to mind when assessing our everyday goals. And while it’s easy to think that automation is an entirely technical aspiration, Vettery is home to a number of incredible people behind the proverbial curtain. From engineers and data scientists to account managers and creatives, Vettery’s people-power is unparalleled. Meet Gabby Kalika—she’s a Vettery Account Manager partnering with growing companies on the West Coast and NYC. With a rich background in full-desk agency recruitment, a love of the outdoors, a dog, and a cat who thinks he’s a dog, Gabby’s passion for her work is matched only by her effervescent attitude in life. 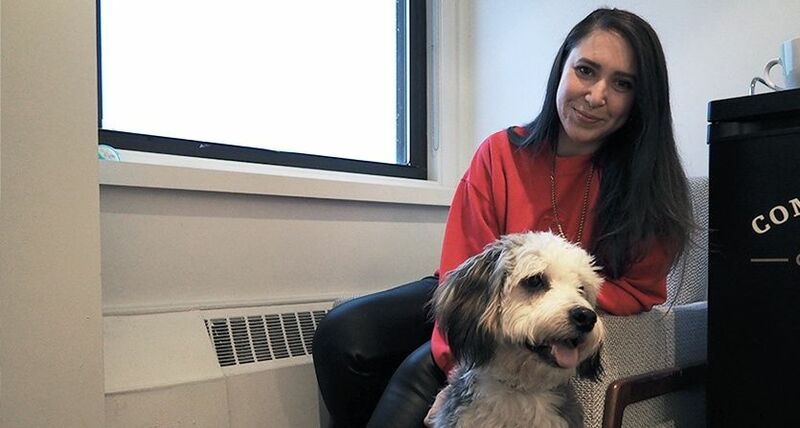 We sat down with her to learn a bit more about her day-to-day at Vettery HQ. Mornings are for sharing stories, connecting as a team, and brainstorming big ideas—nobody is precious about keeping their “trade secrets” to themselves, as it’s truly a group effort on the sales team. 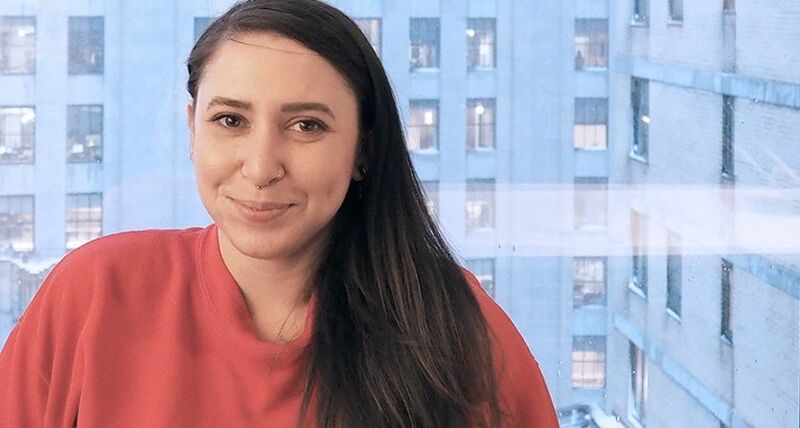 “The most exciting part is discussing the various challenges we face, and coming up with creative solutions to overcome them and to continue helping our clients find success,” says Gabby. No two mornings are exactly alike, as team members chat wins, losses, and strategic ways to help their clients achieve their hiring goals. There’s often a few dogs around as well—they usually don’t work too hard! 12PM: Partner lunch to celebrate a renewal! There are few Vettery celebrations that don’t include food, if we’re being honest. “Recently, a partner of ours made three hires in our sales vertical alone, which was a great success,” Gabby says. “We have a strong relationship with their Director of Talent and the recruiters, which made the renewal a no-brainer.” Asked about their 2019 hiring forecasts, Gabby knows their goals remain high. “We worked with them to ensure a free pilot to our Tel Aviv tech vertical when we launch in Israel, so we’re really excited for continued success in the New Year,” she says. What better way to learn more about Vettery then to take it for a test drive? All demos are tailored to each hiring manager’s goals and hiring plans, and Gabby tends to focus on the not-so-obvious tips and tricks. “For example, our clients love that our keyword search allows exclusionary filtering, so they can keep a broad search without having to sift through profiles that definitely won't fit their needs,” Gabby says. Other common questions typically have to do with message templates, workflow optimization, and collaborative tools within the marketplace. QBRs are where Gabby and her partners consider what’s been working, where Vettery has room for improvement, and how everyone can construct a game plan to hit—and exceed—short- and long-term goals. Gabby prefers to meet in person, as it’s always nice to catch up and build relationships offline, but she recognizes calendars are busy. “Usually, these meetings are often quite celebratory,” says Gabby. Gabby relishes the opportunity to don her recruiting hat every so often, as it’s working with people that really makes her tick. “We're focused on creating marriages between our candidates and partners, so we'll do whatever we can to promote transparency throughout the process while building relationships that are strong and healthy,” she says.